Hjorth has over twenty years experience working collaboratively upon interdisciplinary projects in the Asia-Pacific region. She combines ethnography with creative work to probe everyday mobile media practices. 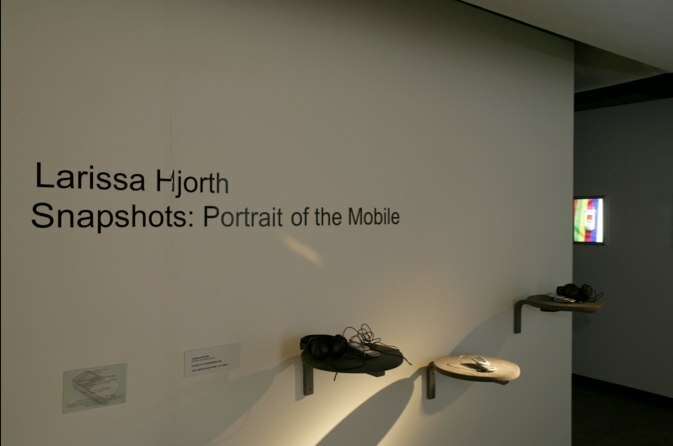 Hjorth’s international contribution to the fields of mobile media and mobile art has been recognised through grants, awards, publications, keynotes and professional activities. Hjorth has worked collaboratively in the Asia-Pacific region on cross-cultural art projects and has been awarded twenty national (i.e. Australia Council for the Arts, Asialink) and international (i.e. Pora and Japan Foundation) grants and fellowships (BK Korea, Gyeonggi Creation Center, Akiyoshidai, Ssamzie, AFC and Fudan University research fellow). As an established artist before coming to the academy, Hjorth’s commitment to public engagement and community impact is evident in more than twenty years of international exhibitions and curation. Design & Play explores the role of play and “playful” as a barometer and cultural probe for contemporary cultural practice. Design & Play considers the interdisciplinary and poetic role of play through the eyes of designers and artists. The exhibition takes its cue from interdisciplinary communities and debates around the understanding of play as a creative, social, cultural and political concept and mode of practice. For some theorists, contemporary media is inherently playful which is productive; for other theorists this playful process is a form of playbour—a fusion and confusion of play and labour. However, in everyday life these divisions are more ambivalent. audience collaborates with Playbour Projects. The Art of Play will also consist of a series of play and wellbeing workshops with primary and high school children. Beginning with a series of camera phone images of people in public taking pictures via their camera phones to a quasi-entertainment indoor golf course gone awry, Still Mobile reflects upon the game of being mobile—physically, temporally, spatially and technologically—whilst also being simultaneously and paradoxically immobile. Like the oxymoronic notion of the indoor golf course (after all, isn’t golf supposed to be played outside? ), inside and outside are infused. Reflecting upon contemporary notions of the mediated co-present moment, Still Mobile explores one version of ‘being in the moment’ in an age of networked social media. By focusing upon various mobile moments as abstractions, Still Mobile explores the competing screen culture that is contemporary everyday life. Like the deluge left when a party has finished, Still Mobile presents a window into the infinite regress of screen culture today. GMoMA, Korea. Given that one of the silent histories of SMS was its usage by the deaf community, CU tries to explore the relationship between the SMS messages we send and receive and the emotional images they leave. People gave Hjorth an SMS along with explaining their emotional response. Hjorth then made images of these emotions. In 2007 — during a fellowship at Yonsei University — Hjorth explored the rise of the haptic sense (touch) evolving around mobile media practices and how urban spaces worldwide are being transformed by localised camera phone and texting exercises. In the wake of the rise of camera phones and so-called ‘immediate’ photography (and editing, deleting etc), this project sought to consider the ‘poetics of delay’ in the ‘waiting for immediacy’ culture. This project, called waiting for immediacy, consisted of Hjorth doing the ‘exercises’ that people do when they take camera phone pictures and text in public spaces. Hjorth made prototypes based on these exercises mixed with aerobics and martial art styles that then became micro-movies. Within the global media rhetoric about being ‘mobile’ (technological, social, economic and cultural), we are finding that there is a residual stillness resonating around place. Often users customised their mobile phone to locate and ground it in the personal. Hjorth sees these forms of personalisation as intimate publics. This personalisation is about making the mobile still. Hjorth explored this idea in Seoul at a SSamzie space art residency (please see attached catalogue, Snapshots of almost contacts) and then again in Snapshots: Portrait of the mobile (Spacement gallery, Melbourne). A series of micro-narratives (mobile phone movies) exploring the poetics of delay. 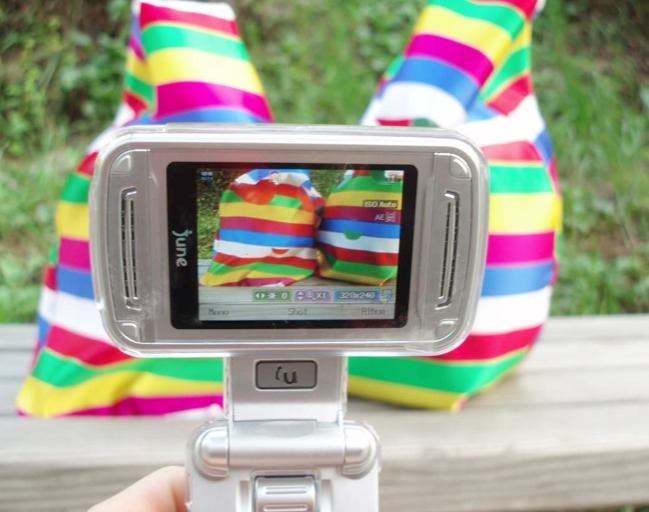 Photos, video and performances around the digital ethnographies of mobile media. Ssamzie Art space residency. Over the past 15 years Hjorth has combined ethnography and art to reflect upon ways in which mobile media plays out in everyday lives. Sometimes this process involved using the camera like a way finder tool, other times it resulted in playful mobile content. Hjorth’s use of mobile media is not just as the researcher’s tool but also as a field of research that shapes modes of inquiry in particular ways. From 2000 when Hjorth was living in Tokyo and then Seoul, she used mobile media as both a photographic tool and medium for creative research practice. Through a series of photographic vignettes Hjorth explored the everyday practices in and around mobile media.